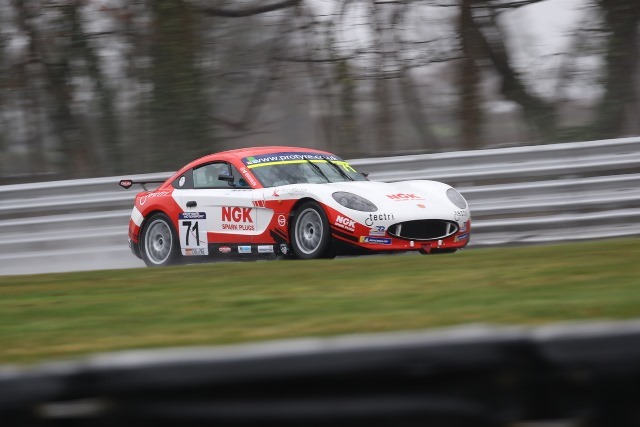 Charlie Martin’s debut season in the Protyre Motorsport Ginetta GT5 Challenge got off to a flying start at Oulton Park over the Easter Bank Holiday weekend, finishing third in class in Race Two and stepping onto the podium. Despite the rainy weather and poor visibility, Leicester racer Charlie recorded the strong finish in the Am class in a chaotic race that was ended early due to a collision at the front of the pack. In race one, Charlie had been running third in class, but late lunge from a competitor on a slippery track caused her to be shunted off the circuit and finish out of position. Determined to improve in her second race, Charlie took advantage of a drying track to get a strong start and make up places from the beginning. Poor visibility for all and increasingly muddy conditions caused multiple collisions throughout the pack, bringing out the red flag and bringing the season opener to a close. Charlie Martin said: “What an exciting start to the season. We were really thrown in the deep end today, almost literally, with such heavy rain all day. I think all of us were struggling to get comfortable and find the grip we needed. I’m happy to come away with a podium in Am class and that gives me a good start and lots of wet running that I can learn from and put to use again this season. 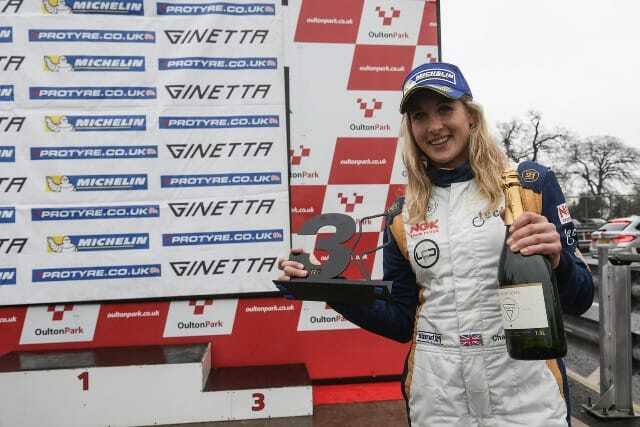 Charlie made her switch to British circuit racing this season, having previously made a name for herself competing in European hill climb events with a Formula Renault single-seater and a Norma M20FC prototype machine. She also stood on the podium at Le Mans last year, finishing third in her debut endurance outing at the Trophee Tourisme Endurance. She is aiming to be the first transgender racing driver to compete at the 24 hours of Le Mans. Round two of the Protyre Motorsport Ginetta GT5 Challenge takes place at Rockingham on March 28 and 29.